On Monday November 30 approximately 1000 people attended the special town meeting at the Weston High School Auditorium. The turn out was likely the biggest for a special town meeting ever but certainly in the last 20 years. Residents forwent the Patriots game to come in participate primarily on whether to appropriate an additional $350,000 for more studies on what to do with the Josiah Smith Tavern, Old Library buildings in the center of town. The Committee charged with the task appointed by the Selectmen had thought to house a restaurant with a 175 capacity in the Barn/Connector section of the Josiah Smith Tavern. The Townspeople voted 435 to 545 against further appropriation as proposed. Additionally funds to study a new Science Wing at the High School passed with a 2/3 majority. 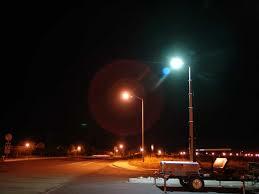 Have you noticed the new Sodium lights in your neighborhood? They have just been installed on Highland St . in the last few days and yesterday they replaced the one outside of my house on Love Lane. When I first heard about the project I envisioned an airport parking lot but actually the light emitted is much softer then our old light and for the first time in the 103 years of Love Lane being called Love Lane we have lights on all of the telephone polls going down the street! It is different but I like it. Thank you Selectman for installing the new much more energy efficient lights! On September 1, 2009, the Town of Weston completed the purchase of the roadway streetlight system from NSTAR for the price of $1. The Town has contracted Republic ITS to complete an efficiency conversion of more than 800 fixtures, and maintain the newly upgraded system for the next three years. We appreciate your patience during this transition period, which will take place over the next two months. Throughout Weston, old incandescent lighting fixtures will be replaced with new, more efficient high pressure sodium (HPS) fixtures. Although the new HPS bulbs will cast a different color of the light spectrum, the new fixtures will focus light directly onto the roadway with less spillage, and have a much lower failure rate than the current system. NSTAR is providing a $56,000 energy efficiency incentive towards the cost of the conversion, which means the return on investment of this project, including maintenance, will be less than two years. We will continue to explore further savings in the future as lighting technology improves, and the cost of newer technology goes down. While the new lighting system and contracted maintenance are being implemented, please contact the Department of Public Works at (781) 893-1263 if you have any questions or concerns. A Tribute to Officer Gilbert C. Boyes Jr. Officer Gilbert C. Boyes was an active member of the Weston Police Force since 1982. The residents of Weston will miss his dedicated service to our Town. 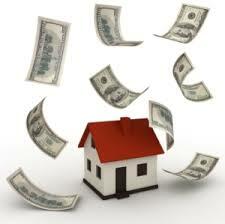 Buyers who have owned their current homes at least five years would be eligible for tax credits of up to $6,500. First-time homebuyers — or anyone who hasn’t owned a home in the last three years — would still get up to $8,000. To qualify, buyers in both groups have to sign a purchase agreement by April 30, 2010, and close by June 30. The credit is available for the purchase of principal homes costing $800,000 or less, meaning vacation homes are ineligible. The credit would be phased out for individuals with annual incomes above $125,000 and for joint filers with incomes above $225,000. 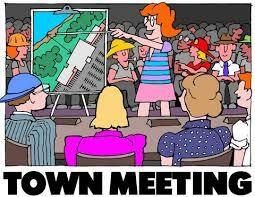 Amendments to Town of Weston Bylaws were approved by the Attorney General of the Commonwealth on October 26, 2009. The Town of Weston’s General By-laws were amended to include Articles 30, 31 & 32 which were voted in at the Adjourned Annual Town Meeting convened May 18, 2009. To view a copy of the newly adopted amended Articles 30, 31 and 32 of the warrant for click here.